Abbas’ office reiterated that Trump’s peace plan is aimed at stripping the Palestinian people of their legitimate rights. Palestinian National Authority President, Mahmoud Abbas’ office on Saturday responded to a report by Foreign Policy, a U.S. journal, which had claimed that U.S. President Donald Trump’s son-in-law, senior adviser Jared Kushner was involved in devising a plan to dissolve the United Nations Relief and Works Agency (UNRWA), saying that the plan reaffirms that the U.S. is planning to take away Palestinians’ refugee status. 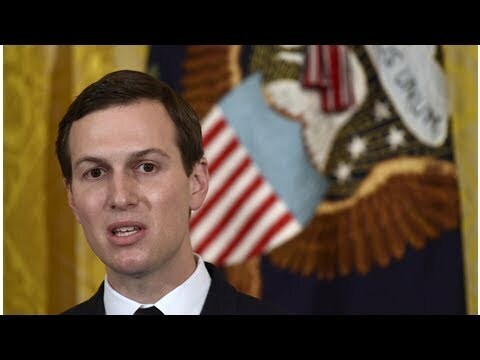 The report also claimed that Kushner pressured Jordan to strip the refugee status of nearly two million Palestinians residing in the country. “Jared Kushner, U.S. President Donald Trump’s son-in-law, and senior advisor has quietly been trying to do away with the U.N. relief agency that has provided food and essential services to millions of Palestinian refugees for decades, according to internal emails obtained by Foreign Policy,” the journal’s report indicated. “It is important to have an honest and sincere effort to disrupt UNRWA,” Kushner wrote about in one of the emails dated Jan.11, about the UN agency, addressing several other senior officials, including Trump’s Middle East peace envoy, Jason Greenblatt. The Palestinian president’s office on Saturday said the U.S. journal’s report proved that Kushner was trying to undermine the work by the UNRWA, the UN refugee agency which has aided Palestinians by dissolving the UN agency and that it was proof the U.S. administration was plotting to push the issue of Palestinians as refugees off the negotiations table at the White House. “The refugee issue is a final status issue, which will only be resolved through negotiations leading to a just and agreed solution in accordance with the resolutions of international legitimacy and the Arab Peace Initiative,” the PA’s office noted, according to the Palestine News Agency and the Palestinian News & Info Agency, Wafa. “The determination of the Palestinian leadership and the steadfastness of our people will foil all conspiracies to end the Palestinian cause, and our people have thwarted all previous attempts to undermine their legitimate rights,” the PA’s office said in a statement, according to Wafa. The Palestinian Authority affirmed in a statement that this transformation of the Palestinian national issue was a humanitarian issue.